For patients with breast cancer who develop brain metastases, radiation therapy (RT) provides local control. Here, we review the current role for central nervous system RT, particularly focusing on the evolving role for stereotactic radiosurgery (SRS). SRS treats only known CNS disease as opposed to whole-brain radiation therapy (WBRT), which treats the entire brain parenchyma. SRS has been found to cause less neurocognitive decline than WBRT. SRS is currently utilized in patients with four or fewer brain metastases, but several ongoing trials are examining the use of SRS for greater than four metastases. For patients requiring WBRT, hippocampal avoidance WBRT and memantine concurrent with and adjuvant to WBRT have been found to reduce the risk of neurocognitive decline. Both SRS and WBRT are used as a local therapy for brain metastases. SRS is increasingly preferred given fewer long-term neurocognitive side effects. Shyam Tanguturi and Laura E. G. Warren declare they have no conflict of interest. National Comprehensive Cancer Network. 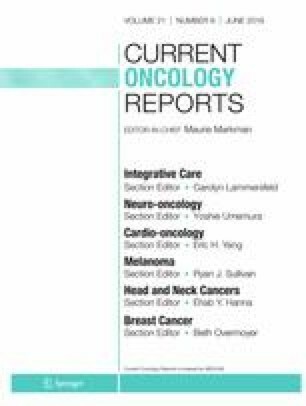 NCCN clinical practice guidelines in oncology: breast cancer. http://www.nccn.org/professionals/physician_gls/pdf/breast.pdf. Published 2014. Accessed August 1 2016.